If the Miami Dolphins seriously look to trade Jarvis Landry, these five teams could come up with a good offer. Over his three seasons in the league, Miami Dolphins wide receiver Jarvis Landry has been one of the most productive pass catchers in the NFL. He set the all-time record for receptions in a player’s first two seasons with 194, and he has 204 catches over the last two seasons. But Landry is the quintessential slot receiver, with little touchdown production (13 for his career). Entering the final year of his contract, the Dolphins don’t seem too eager to sign him to a lucrative long-term extension. The injury-forced quarterback switch from Ryan Tannehill to Jay Cutler is also bad news for Landry, as Cutler is not afraid to (and is able to) throw downfield. That favors DeVante Parker and Kenny Stills, while leaving by the wayside a bit. Miami’s hesitancy to make a long-term commitment to Landry is odd, and a recent domestic battery allegation may be a factor now whether he’s guilty or not. So it’s interesting, at least, that they may listen to trade offers for him, and Michael Lombardi of The Ringer recently reiterated that possibility. Said this on my GM Street podcast @RingerPodcasts in May. 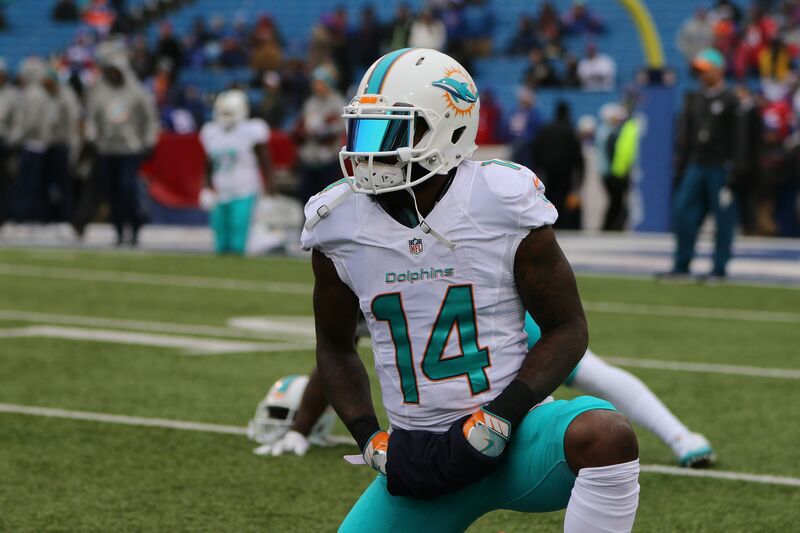 Miami will listen to offers on Jarvis Landry and seriously listen. But there’s often a direct contradiction to a rumor like that, and this one comes from Pro Football Talk. Apparently the Dolphins aren’t and won’t be listening to trade offers or Landry, but a team did inquire in the spring. If the Dolphins shift course and seriously look to move Landry before Week 1, or perhaps more likely before the trade deadline on Oct. 31, these five teams could make an offer that can’t be refused. With trades that sent wide receiver Sammy Watkins to the Rams and cornerback Ronald Darby to the Eagles, the Bills seem to already be looking beyond 2017. While that wouldn’t make Landry a great fit, per se, he’s also young enough (25 on November) to be a long-term asset without the commitment to it right now. The Dolphins may not want to deal with a division rival, but that element is usually overrated. For the right draft pick, a trade could get done with Buffalo. For whoever is under center for the Bills, this year and beyond, Landry can be a very valuable, reliable target.